For a daily hydration ritual that provides protection from unforgiving elements, the Illuminating Day Cream deeply moisturises the epidermis resulting in a dewy, youthful complexion. Supporting collagen production through the infusion of powerful active ingredients, regular use of the Illuminating Day Cream reduces the appearance of fine lines and wrinkle depth to promote optimum skin elasticity. Made from 90% Certified Organic Ingredients and 100% Naturally Derived and Plant Based Ingredients. Once the skin has been thoroughly cleansed and toned, apply a small amount to the finger tip, dot over the skin and gently massage into the face, neck and décolletage until absorbed. Can be used morning and night. Squalane – Derived from olives to mirror the skin’s natural sebum, Squalane creates a barrier between the skin and the external environment helping to penetrate deep into the epidermis for hydration, softness and protection. Vigna Aconitifolia Seed Extract – A botanical alternative to retinol, however not sun-sensitive. 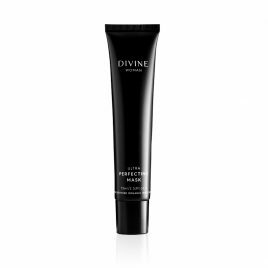 Clinically proven to reduce wrinkle depth as it stimulates cellular renewal and collagen synthesis. Native Australian Kakadu Plum – Wild harvested by the Indigenous people of the Kakadu National Park, Kakadu Plum is the highest known source of anti- oxidising Vitamin C to repair damage caused by environmental stress and neutralise free radicals. Hyaluronic Acid – Fermented botanical extract that magnetises and holds up to 1,000 times its weight in water to penetrate the skin and plump out fine lines with its super hydrating properties. First spritz your cleansed face with the Soothing Rose Toner to prepare the skin for deep moisturisation. 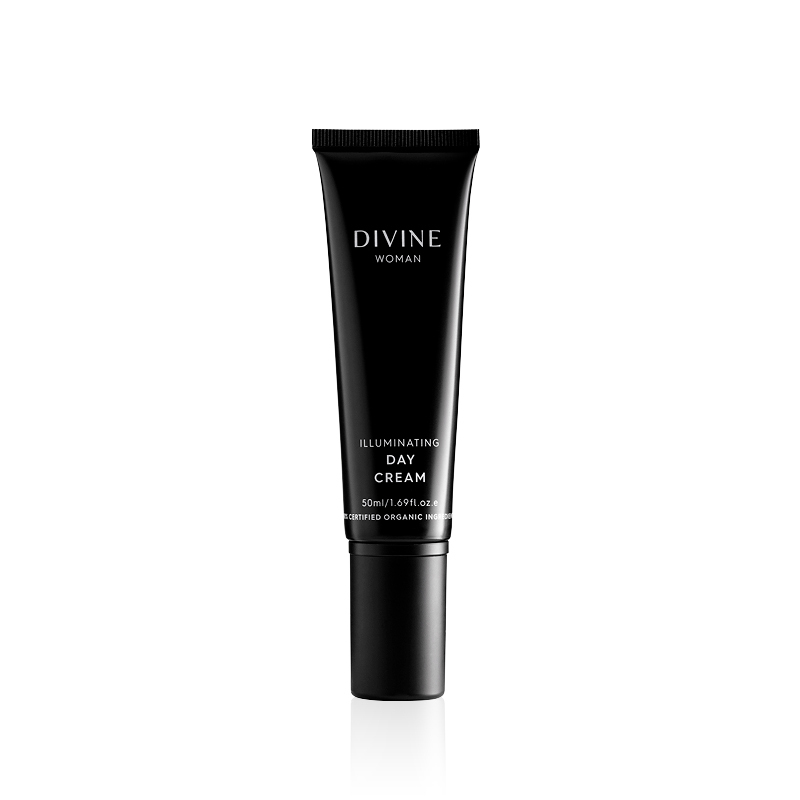 As the skin will be dewy, only a small amount of the Illuminating Day Cream will be required to achieve optimum hydration and protection. ALOE BARBADENSIS LEAF JUICE*, OLEA EUROPAEA (OLIVE) LEAF EXTRACT*, SORBITAN OLIVATE, CETEARYL OLIVATE, GLYCERINE*, THEOBROMA CACAO (COCOA) SEED BUTTER*, EUPHORBIA CERIFERA (CANDELILLA) WAX, COCOS NUCIFERA (COCONUT) OIL*, STEARIC ACID, HEPTYL UNDECYLENATE, BUTYROSPERMUM PARKII (SHEA) BUTTER*, SIMMONDSIA CHINENSIS (JOJOBA) SEED OIL*, CAMELLIA SINENSIS (GREEN TEA) LEAF EXTRACT*, XANTHAN GUM, PRUNUS ARMENIACA (APRICOT) KERNEL OIL*, TERMINALIA FERDINANDIANA (KAKADU PLUM) FRUIT EXTRACT*, SODIUM HYALURONATE, VIGNA ACONITIFOLIA SEED EXTRACT, SQUALANE, GLYCYRRHIZA GLABRA (LIQUORICE) EXTRACT, ASPALATHUS LINEARIS (ROOIBOS) EXTRACT*, DAUCUS CAROTA (CARROT) TISSUE OIL, HELIANTHUS ANNUUS (SUNFLOWER) SEED OIL*, CITRUS AURANTIFOLIA (LIME) OIL*, CITRUS AURANTIUM BERGAMIA (BERGAMOT) FRUIT OIL*, ANTHEMIS NOBILIS (ROMAN CHAMOMILE) FLOWER OIL*, CITRUS PARADISI (GRAPEFRUIT) PEEL OIL*, LONICERA CAPRIFOLIUM (HONEYSUCKLE) FLOWER EXTRACT, ROSA DAMASCENA (ROSE) FLOWER EXTRACT*, LONICERA JAPONICA (HONEYSUCKLE) FLOWER EXTRACT, CITRAL^, GERANIOL^, LIMONENE^. *CERTIFIED ORGANIC. ^CONSTITUENTS OF ESSENTIAL OILS. I use this every morning and couldn’t live without it! I apply this Day Cream after cleansing with the Lactic Cleanser and love how the cream is smooth and light on the skin. It doesn’t feel too heavy and is the perfect compact travel size too!